Poems from a Mermaid: Silk and Feathers on Fur? They're Not Dog Costumes, They're Doggie Couture! Silk and Feathers on Fur? 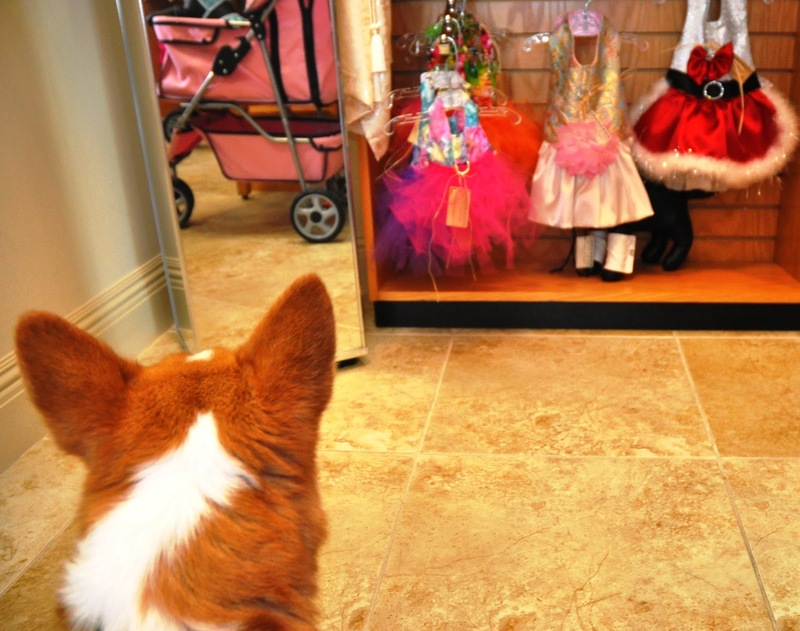 They're Not Dog Costumes, They're Doggie Couture! Moving to Naples Bay Resort has been the best thing that ever happened to a mermaid. The Mermaid's Bite Collection at Watson Investments Gallery has found a venue with a luxurious view. It is exquisite and exclusive, but the generous merchants here, ourselves included, want to share the best kept secret on Naples Bay. It's time you know more about The Shoppes at Naples Bay Resort! 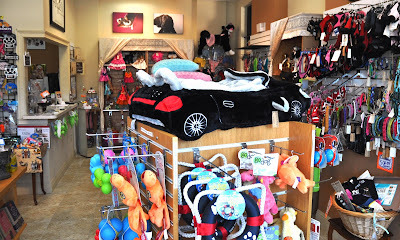 Let's begin with the doggone cutest shop we've ever seen, Fergie's Closet Doggie Boutique. 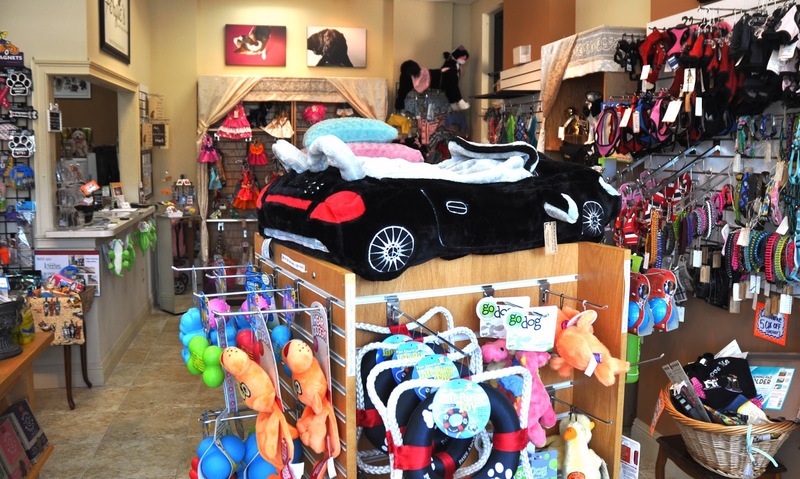 Alexandria Gross has collected a world class selection of puppy products, from organic food and treats to quality toys and accoutrements suitable for a puppy princess. Named after her Chorkie and Morkie pair's baby, Fergie's outfits are available to the exact measurements of your own debonair dog. 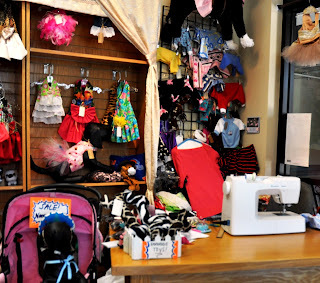 The best part of the boutique, after the free dog treat, is the personal attention your doggie will receive as he or she is measured for a custom dog outfit--not a costume, these are quality garments! Plus, they are sewn with love right in the corner of the shop on Alex's mom's sewing machine. 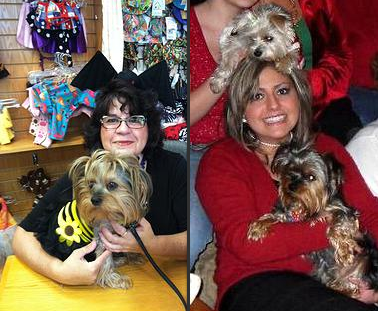 Jackie is the inspiration for the boutique, as her doggie fashion designs have been popular with clients for many years. Bring your baby by to be measured for a beautiful sundress or romper for each day of the week! Teggie the Corgi has been measured for hers. Jackie noted that she would want the skirt to end just before Teggie's bloomers so it won't bother her when she sits down. 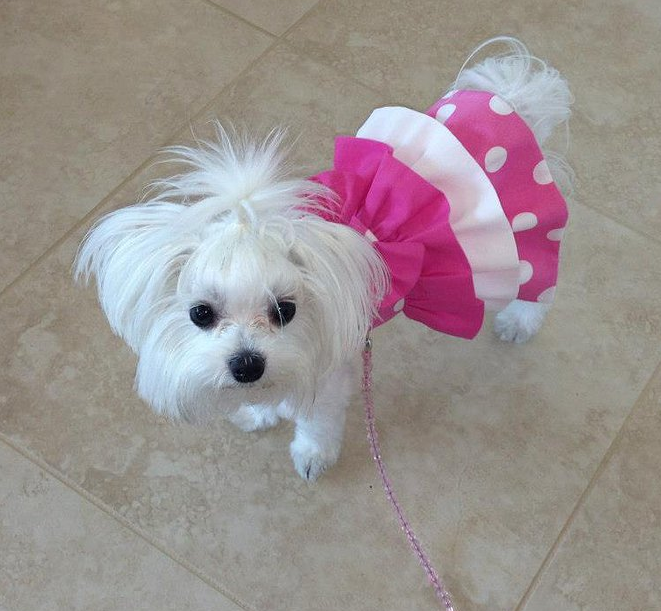 Only a true tailor would consider the comfort of my puppy's peplum! When not in Naples, shop online at FergiesCloset.com. And be sure to "Like" them on Facebook! 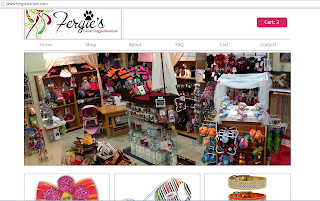 Fergie's Closet Doggie Boutique is open Tuesday through Saturday from 12 to 8 PM at 1500 Fifth Avenue South, Suite 108, Naples, Florida 34102. Call them at (239) 300-0478 or email Fergiescloset@gmail.com.